Individually addressable LEDs are everywhere. In the quest for a smaller, cheaper, smarter LED, the latest and hottest technology is the NeoPixel, AdaFruit's term for the WS2812. This is an amazing little chip that integrates red, green, and blue LEDs with a controller chip into a single package. NeoPixels are inexpensive, bright, easy to use, and you can use them to build projects of almost any size. They show up in costumes, sculptures, vehicles, and signs. The saturated colors and frenetic blinking of these lights can be hard to escape at parties and festivals. These LEDs are capable of so much more. I believe that LED lighting can be nuanced, with wide ranges of brightness from blindingly intense to barely visible, saturated hues to subtle off-white. Getting this range of expression from LEDs can be super tricky, especially when the only tool you have at your disposal is the Arduino IDE. Fadecandy is a project that tries to solve this problem, by making LED art both easier to build and more expressive. At the core of the project is the Fadecandy Controller, a tiny board that lets you control up to 512 NeoPixels (as 8 strands of 64) from any computer or embedded Linux board with USB. It includes unique color dithering and interpolation algorithms to get the most out of each pixel. Fadecandy works with any WS2811 or WS2812 LEDs, and you can program your LEDs using many different environments. This tutorial covers one particular LED module and one particular programming environment. We'll be programming an 8x8 NeoMatrix in the Processing language. You'll be doing some programming and some basic electronics assembly. If you aren't familiar with programming or electronics yet, don't worry- there are plenty of tutorials on learn.adafruit.com to help you if you get stuck, and you might even find someone near you who would love to help you get started. This might be a good excuse to make friends with someone who has a soldering iron, but if you want to buy a set of tools Ladyada's Electronics Toolkit will have everything you need. A computer, running Mac OS X or Windows 7 or later. It's also possible to use Fadecandy with Linux computers including the Raspberry Pi, but that isn't covered by this guide. One board can control up to 512 pixels. We'll only be using one of the eight channels on this board. If you have a Revision A board with the green PCB, you'll need a Micro USB cable. If you have the Revision B board from Adafruit with the blue PCB, use a Mini USB cable. A Beefy 5V power supply. For this project you'll need a 5V supply with at least a 4A current rating. Adafruit's 5V 10A power brick will give you capacity for projects about 3x the size of this one, so there's room to expand. You can also get a basic 5V 4A supply if that's all you need. This will give you a way to connect your power supply to the LEDs. 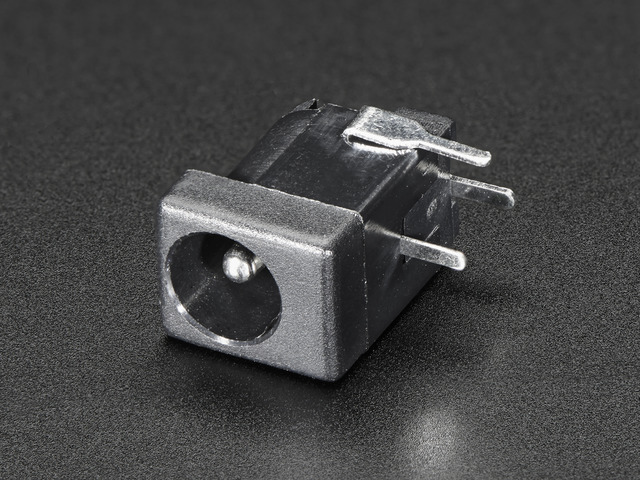 There are many options, but Adafruit sells a basic jack that will work with the power supply we're using. These are the lights you'll be controlling in this tutorial. This one board has 64 of the WS2812 pixels, and it's the perfect size for one of the Fadecandy controller's eight output pins. Some things to cast light on. Processing is a programming language that's especially convenient for creating multimedia art. If you don't already have it installed, head to the Processing.org web site and download it. On Mac OS X, the .zip file you download will have a Processing application inside it. You can drag that to your Applications folder or anywhere else you like. On Windows, the .zip file will contain a folder. You can drag that folder anywhere you like. If you get stuck or you'd like more information about getting started with Processing, take a look at the Getting Started tutorial for Processing. Great! Now for the next thing we'll need: The Fadecandy software. You can download this from the releases page on GitHub. The link you want is the "Source code (zip)". This package contains both the source code and the binaries you'll need for this tutorial. The specific release we're using here is Fadecandy 01. First, run the fcserver program. This program runs in the background and connects your Processing sketches with the Fadecandy Controller board. It also has a simple web interface you can use to test your LEDs. This program will run in a Terminal window. If all is well, you should get a message like "Server listening on 127.0.0.1:7890". This tells you it's ready to accept connections from other programs on your computer. If you plug in a Fadecandy Controller board, it should show up in the Connected Devices section. No need to reload the web page. The bottom section shows you how the server is configured. This isn't really important unless you have special requirements or you're using multiple Fadecandy Controller boards, but you can read more about this in the Fadecandy server configuration documentation. That's all the software you need for this tutorial. Now for some wiring! Wiring up your Fadecandy Controller will require a little soldering, since LED strips and arrays come in all different shapes and sizes. The Fadecandy Controller board is small enough you can incorporate it directly into your art projects. Every project will need at least one USB connector and at least one power connector. First, let's get acquainted with the Fadecandy Controller. This is the component side of the Fadecandy Controller. At the top, you'll see a Micro USB connector. This is how Fadecandy gets data from your computer, and how it powers itself. The LEDs themselves draw so much power that they need a separate power brick, but the controller board requires very little power. At the bottom, there are eight outputs. Each output can drive a chain of up to 64 LEDs. 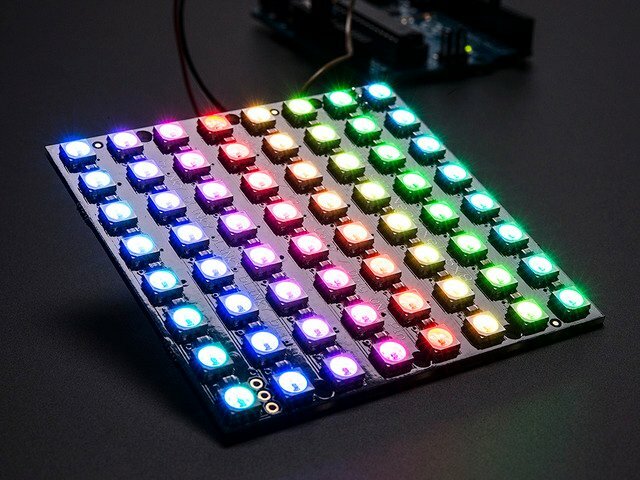 In this guide, we're running an 8x8 matrix with exactly 64 LEDs. It could connect to any of the eight outputs, but by convention we'll start with the first one (labeled with a Zero). At the top-left there's an LED. You can control it in software, but by default it will blink any time the Fadecandy board receives data over USB. The largest chip, on the left, is the brains of the Fadecandy Controller. It's a 32-bit microcontroller running at 50 MHz. This chip needs to simultaneously receive data over USB, output it to all of your LEDs, and run the dithering and interpolation algorithms. The Fadecandy Controller ships with firmware built-in that you don't need to modify. The second largest chip, on the right, is an electrical buffer that drives the eight outputs with a strong 5-volt signal. This helps Fadecandy run reliably even in hostile environments and with longer wires. The tiny 6-pin chip right above that is a power supply boost chip that gives the electrical buffer a stable 5-volt power supply even if the USB power isn't so great, as is often the case when dealing with long cables and hostile environments. This is the flat side of the board, with the large "Fc" logo. The "hacker port" below is used during manufacturing. If you're interested in doing really strange things with your Fadecandy board it may be handy, but most people can totally ignore these pins. There are many ways to incorporate the Fadecandy controller into your project. The board is small enough you can use zip-ties and heat shrink tubing to incorporate it into your project's wiring harness, or you can mount it with double-sided foam tape, or you could design a bracket that it snaps into. This is the NeoMatrix. It has two groups of three holes, labeled "DOUT / VDD / GND" on one side, and "GND / VIN / DIN" on the other side. GND: Ground. This completes the electrical circuit for power and for data. All of the GND pins are the same on this board. VDD: 5 volt power. This is where we power the LEDs. All of the VDD pins on this board are the same. DIN: Data input. This is the 5 volt data signal coming from the Fadecandy controller. DOUT: Data output. We don't use this pin, since the NeoMatrix already has all 64 LEDs supported on a single Fadecandy controller channel. So, let's start with power. We're using a barrel jack that matches the plug on our power brick. These jacks have three pins. The one on the side isn't used here, it's just for detecting when a plug has been inserted. The other two pins connect to the outside casing of the barrel plug, and the center pin. In the most common arrangement, this outside shell is negative (ground) and the inner pin is positive. It's really important to make sure your power supply voltage and polarity are correct. If either is incorrect, you can damage your LEDs. If you have a digital multimeter handy, use its DC Volts setting to test the voltage on the barrel jack before you start soldering. Following the polarity on the diagram above, we'll put the black probe on the pin that attaches to the outside casing of the plug, and the red probe goes on the center pin. If all is well, you should see a positive number close to 5V. The third pin isn't used, and you might find it convenient to cut that pin off. Now we'll get ready to attach wires to the barrel jack. If you have multiple colors of wire, the tradition is to use black or green for ground and red or another bright color for positive. I used red and black wire. This wire should be relatively thick, since it has to carry several amps of power. I used 20 gauge stranded wire. Prepare your two pieces of wire by stripping off about a quarter inch of insulation. You'll be putting each wire through the hole in your barrel jack's terminal, wrapping it around, and soldering it. The barrel jack is almost ready to use! You'll want to insulate it, though, so you don't have to worry about metal objects bridging the two power terminals. It's especially important to watch out for short circuits when you're using such a large power supply! If you have heat shrink tubing or electrical tape, this would be a good time to use it. But duct tape works fine too. These wires will go to the VDD and GND pins on the NeoMatrix. Since we'll need a GND pin for the Fadecandy board too, it's convenient to attach these wires to the side of the NeoMatrix with DOUT instead of DIN. I also like to put a little solder on the other side, where the wires come out. This adds a little mechanical strength, making the wires less likely to break. It helps to keep these wires flat against the board when you do this, since you'll want the NeoMatrix to lay flat when you're using it. Alright! Now we can power our LEDs. Next, we need to get data from the Fadecandy Controller to the NeoMatrix. Just like power, we need two wires for data. The positive wire (DIN) carries video data, and the negative wire (GND) completes the circuit. The recommended way of wiring the Fadecandy Controller's ground (GND) wire is to run separate wires from the Fadecandy Controller to your LED strips, and to keep its ground wire paired with its data wire. Keeping your data wires and power wires separate is good practice for creating reliable projects. At this small of a scale it isn't a big deal, but this will help a lot with reliability on larger projects. For the signal wires, I used slightly thinner wires, 26 gauge. It's useful to use two different colors, so you can tell the wires apart. I used red and black again. If you like to, you can twist the wires to keep them tidy, but this isn't required. The other end of this wire pair connects to channel Zero on the Fadecandy Controller. The GND wire needs to connect to the - terminal on the Fadecandy, and the DIN wire connects to +. There are tiny + and - labels on the board, or you can remember that the pins nearest to the edge are all -. Congrats! Your wiring is all done, and now you have a NeoMatrix that's ready to attach to your computer. Now your hardware is ready! Let's try it out. If you don't still have fcserver running from earlier, start it. You should see your Fadecandy Controller listed under Connected Devices. If you're on a Mac, this should happen nearly instantly. On Windows it may take up to 30 seconds or so the first time you plug in your Fadecandy, since Windows will need to automatically install drivers. Once you see your controller, try turning on your LEDs. We'll start with 50% brightness, since full brightness is extremely bright! Navigate to the processing folder inside the examples folder from the Fadecandy package. Open grid8x8_dot.pde, inside the grid8x8_dot folder. Press the Run button, in the top-left of the window. The large orange glowing dot follows your mouse. Each of the tiny single-pixel dots represents one of your 64 LEDs. With Fadecandy's Processing library, it's easy to create effects that draw to the screen and sample specific on-screen pixels for each LED. As you move your mouse around the window, the dot follows along on your NeoMatrix. If you need a refresher on Processing syntax, be sure to keep the reference handy. The OPC object we're using is the Open Pixel Control client that comes with Fadecandy. There's a reference for OPC.pde in Fadecandy's documentation. If you've never used Processing, this may be a good time to work through some of the Processing Tutorials. When you're ready, try modifying this example. Can you make the dot change size? Can you make it move on its own? When you're done with grid8x8_dot, load the grid8x8_orbits example. We'll be needing it in the next section. This example also uses images, but this time it uses two of them blended together. The vertical position of the mouse in the window changes the size of the orbiting dots, and they spin on their own at a fixed rate. It's a really simple example, but there's already a lot going on. There's a huge range in brightness, from pixels that are just barely on to pixels that are blindingly bright. Colors mix in the center. By themselves, the LEDs convey some of this, but there's also just an overwhelming sense of brightness that results from the light being so concentrated in each pixel. In a sense, what you're doing now is staring directly into a light source. It's really extreme, and it's attention-grabbing, but there are a lot of other aesthetic options for a project like this. The lights could be illuminating an object, or they could be casting shadows, or they could be projecting a pattern onto a surface. This is a great time to experiment with different materials, to get a sense for what the LED light looks like under different conditions. Maybe this will give you ideas about other materials you'd like to try, or other visual effects you want to design. First, a simple piece of printer paper. I folded each edge down into a sort of box-lid shape, so that it's separated from the LEDs by a fraction of an inch. This gap gives the light some distance to spread out before it hits the paper. The paper acts like a rear-projection screen. In signal processing terms, it's also acting like a low-pass filter or blur. The hard edges of each LED are filtered out, and the result looks much more like what appears on-screen. Next, let's take the same piece of paper, crumple it up, then flatten it. This adds a lot of interesting texture, and you can start to see how the moving light interacts with a complex 3D object. If you made it this far, you have all the tools necessary to start exploring the creative possibilities of programmable LED lighting. Where else is there to go from here? Modify examples designed for other LED configurations so they work with yours. Design interesting shapes and find new materials for the light to interact with. Try using more lights. 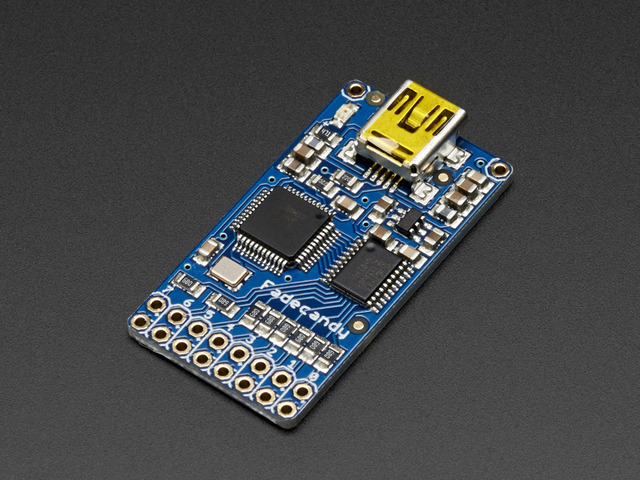 One Fadecandy board can control up to 512 pixels, and you can connect many Fadecandy boards to one computer using USB hubs. Make your art portable with a Raspberry Pi or other single-board computer. And of course, writing more visual effects. There are also many different strategies for writing effects. This example covered using Processing and mapping each LED to a pixel on the screen, but there are plenty of other options. The Fadecandy project already has examples for browser-based effects, Node.js, and Python, and it's easy to add support for new languages. What about pixel mapping? It works for some kinds of art, but other kinds of art may be easier with a 3-dimensional mapping or something custom. Work is in progress to make more kinds of LED mappings easy, and to support automatic mapping using computer vision. This guide was first published on Nov 20, 2013. It was last updated on Nov 20, 2013.